Le traitement de l’attachement insécure chez les adultes. Treating Insecure Attachment in Adults : The Three Pillars of Comprehensive Attachment Repair. avec David S. Elliott, Ph.D. Since John Bowlby’s and Mary Ainsworth’s pioneering work on the development and nature of attachment in children, there has been great interest in how early attachment problems affect adult relationships and well-being. Though there is now very good understanding of the origins and identification of attachment disturbances in adults, clinicians are often dismayed by the difficulties of helping clients move from attachment insecurity to security. Some treatments can be effective, but typically take a very long time and often do not produce comprehensive or stable change. - a foundation in attachment theory, the development of the attachment bond, assessment, and current treatments. 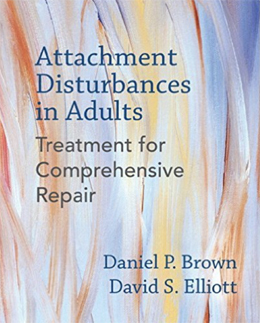 - the theoretical foundations and detailed practical description of a state-of-the-art, highly effective and efficient method for treating adults with attachment disturbances. Emphasis will be on practical applications for clinicians, and will include demonstration sessions and opportunities for participants to practice and receive feedback about their experiences of these methods. “A masterpiece of integration, creativity, and clinical wisdom...a vibrantly innovative treasure that will endure, one of those rare trail-blazers." Understand the maturational and caregiving conditions that contribute to secure, dismissing, anxious-preoccupied, and disorganized attachment. Understand how the conditions that create secure attachment in children can be a basis for effective and efficient treatment of adult insecure attachment. Understand the strengths and limitations of current treatments. Be able to describe the Three Pillars of treatment of attachment disturbances. Have direct experience of using the Ideal Parent Figure method for creating new, positive representations of secure attachment. Recognize the common challenges and positive signs of effective use of the Ideal Parent Figure method. Feel confident about applying the Ideal Parent Figure method in clinical practice. Understand why metacognition and collaboration are poorly developed when attachment is insecure. Become familiar with methods for helping clients develop metacognitive skills and collaborative relational behavior. Feel confident about bringing metacognitive and collaborative methods into clinical practice. Understand the interdependence of the Three Pillars and their treatment methods. 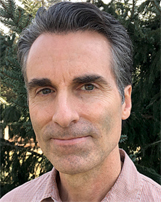 David S. Elliott received his Ph.D. in Psychology from Harvard University in 1989. He is a former President of the Rhode Island Psychological Association (USA), and is on the faculty of the International School for Psychotherapy, Counseling, and Group Leadership, in St. Petersburg, Russia. 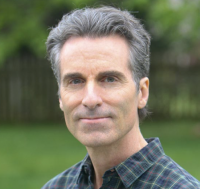 As a clinical psychologist, he has a psychotherapy practice in Providence, Rhode Island, and also consults internationally.